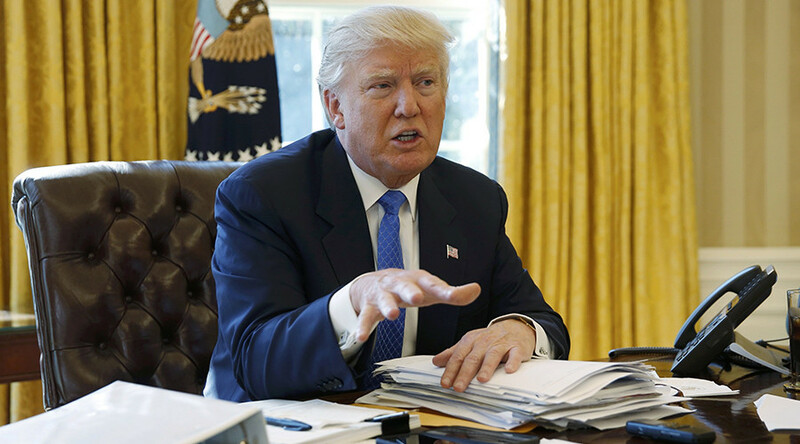 President Donald Trump said he wanted to rebuild the US nuclear arsenal to ensure it was at the “top of the pack,” and vowed that US atomic capabilities will not fall behind any other country, friend or foe. "It would be wonderful, a dream would be that no country would have nukes, but if countries are going to have nukes, we’re going to be at the top of the pack," Trump said in an exclusive interview to Reuters on Thursday. 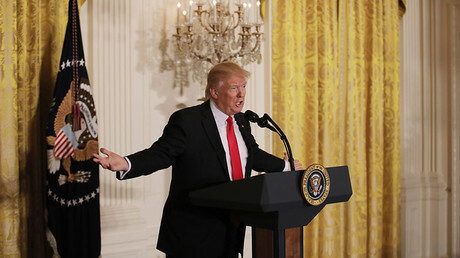 Trump said that Russia has deployed a new cruise missile in violation of a 1987 arms control treaty, and that he would bring up the issue with Russian President Vladimir Putin if and when they meet. “To me it's a big deal,” Trump said. He described the New START (Strategic Arms Reduction Treaty) agreement to limit US and Russian strategic nuclear arsenals as a “one-sided deal” and “just another bad deal” the US has made under previous administrations. Trump also said he was “very angry” at North Korea's ballistic missile tests, and that deploying US missile defense systems in Japan and South Korea was among the options to counter Pyongyang’s behavior. The US is currently implementing a 30-year program to modernize its aging nuclear arsenal, including bombers and land- and submarine-based ballistic missiles. Critics have pointed to the program’s $1 trillion price tag, saying the country cannot afford it, according to Reuters. “The United States will not yield its supremacy in this area to anybody,” White House spokesman Sean Spicer told reporters, when asked to clarify the president’s comments. “Our goal is to make sure that we maintain America’s dominance around the world, and that if other countries flout it, we don’t sit back and allow them to grow theirs."